In 1962, Dan Guerrero arrived in New York City eager to break into the world of show business. Decades before Latinos were projected to become the largest minority group in the US and during a time when Liberace was “just flamboyant,” Guerrero often found himself the sole Mexican American at auditions. The son of Chicano music icon Lalo Guerrero, he began working as a theatrical agent before establishing himself as a successful film and television producer whose credits include El Show de Paul Rodriguez. In 2004, Guerrero, who was then 65 years old, premiered his one-man show, ¡Gaytino! at a Los Angeles community theatre. Weaving together the history of LGBTQ and Mexican Americans, the 90-minute performance centers on Guerrero’s life as a gay Latino from his early childhood to the present day. A work in progress at the time of its premiere, ¡Gaytino! has since been performed around the country to solid reviews including The Kennedy Center’s Terrace Theatre. Out In SA spoke with Guerrero ahead of his two upcoming appearances in San Antonio. On Wednesday, July 26 he will give a talk, Activism and the Arts: A Life Journey, at the Esperanza Peace and Justice Center, and on Friday, July 28 he will perform his show ¡Gaytino! Made in America at the Guadalupe Cultural Arts Center. 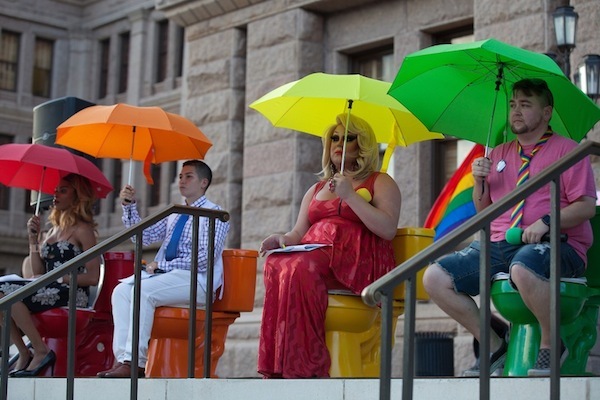 You’ve talked about a sort of disengagement with your identity as a Latino during your youth. How do you think we can encourage young people to take an interest in their culture and history? Well, I hope that things like my show or lecture give our history. I think too many young people — and not just Latinos but too many young people in general — if it didn’t happen last week, they don’t care. So I think as a young Latino, a Chicano, or Tejano, it’s important to really learn your history about those who came before us to make life easier today … although it’s still no walk in the park. I think knowing your history is a good start and you get a good dose of that in my show. 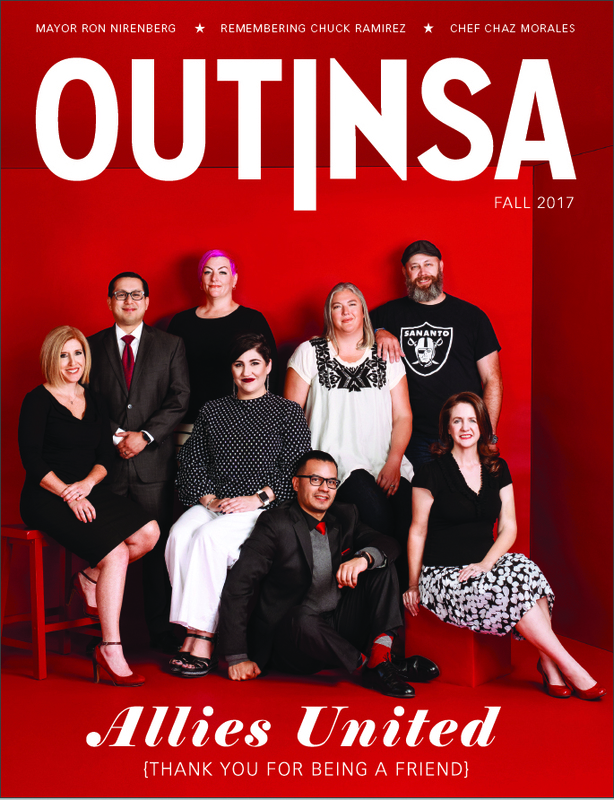 It’s one of the reasons I wrote it, for that very reason: I wanted young people to know both Chicano history and gay history. You arrived in New York in the early 1960’s. Do you remember Stonewall? Well of course I remember . . . I moved to New York in 1962 but I never really went to gay bars. I’ve just never enjoyed that atmosphere of shouting over music and the smoke. First of all, when I moved to New York you didn’t go to gay bars because you were too afraid the police would come in and take you to jail. I never really got in to that but certainly I was aware of what had happened and I touch on that in my show as well. Can you talk about the significance of Luis Valdez’s musical Zoot Suit and the impact it had on your work? Oh, it was huge. When Zoot Suit came to New York I was already living there. It opened in Los Angeles before coming to Broadway. It was difficult to describe the experience because to see one of our stories being told — you’re talking the late 70’s, you hardly see them today, let alone at that time — it was a huge thing … to see an entire cast of brown faces was monumental. When it did come to New York, unfortunately, it wasn’t successful, but it’s a big part of my show. I was a Broadway theatrical agent by that time and that’s when my two worlds collided. During the 60s and 70s I was in NYC so I was not a part of the Chicano Movement and the Chicano Moratorium and all the activism. I was 3,000 miles away and Zoot Suit had such an impact on me and that was one of the reasons to get back in touch with my culture and my people. It’s one of the reasons I moved back to LA after twenty years. It was very instrumental in my move to get involved in what was happening and trying to improve our image and our lives. I eventually met Luis and then César Chávez. I was a late bloomer when it came towards activism. You had a successful career as a producer and director during the 80’s and 90’s. Did you ever think that what you were doing was radical in any way? No, I was just doing my work. I produced a bilingual TV talk show with Paul Rodriguez in the early 90’s. We just had the opportunity and we did it. We never stopped to think about how ground-breaking it was. Even today bilingual is still very much like, ‘Wow they’re bilingual,’ but we were doing it in the early 90s. But I still produce and direct . . . I’ll be directing a big mariachi opera here in LA. I just produced a huge event last fall at the Kennedy Center for César Chávez and I had Luis Valdez and Dolores Huerta . . . so I still use my entertainment skills to tell our stories. Why was it important for you to see Latinos on the stage and on the screen? Well why the hell do you think!? I never saw them growing up! I was talking to Gloria Molina, who is a political powerhouse in California, and we talked about how there were no Latino images in those day and it’s still dismal today. It’s much better today but it’s still dismal when you consider the numbers. How is a young person today going to say ‘I could be an astronaut,’ or ‘I could be a writer,’ if they never see that? You have to see yourself in that and if you don’t see those images, how are you going to think you can do any of that? That’s why it’s important. Have you had a chance to see Hamilton? Of course . . . I had met Lin-Manuel Miranda when he did In the Heights. When I saw Hamilton I thought a hip-hop musical may not be my cup of tea but it was beyond all. It’s not just a hip-hop musical . . . it’s much more. It’s spectacular … and with all the diversity. When I arrived in New York all Broadway musicals had blond and blue-eyed folks and so that’s changed. You wrote ¡Gaytino! over a decade ago now. How do you describe the latest chapter in your life? It’s important to know even though I wrote the show over a decade ago, I’ve only done a few shows a year. But through the years, it has changed; I’m constantly tweaking it. 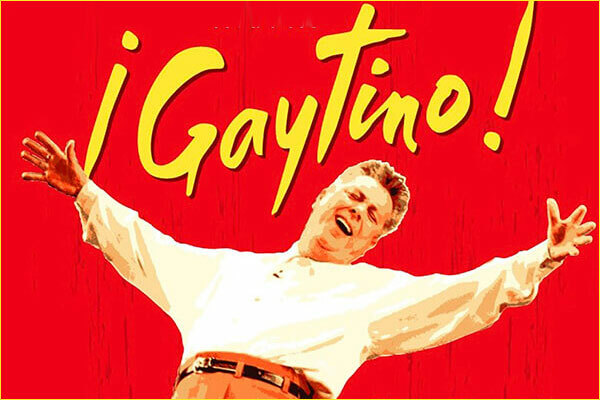 Because of the current political climate, I added a new tag line: ¡Gaytino! Made in America. It has evolved and changed with the times and matured just as I have all these years. I’m not the same person I was ten years ago. San Antonio is really getting a new version of it . . . The whole tone is different. I just worked with a new choreographer and we’ve redone all the musical pieces. I want to make it clear that the show is very funny and entertaining. It’s not just a lecture on what it is to be gay or Mexican: there is storytelling and most of it is really funny. There is music and dancing but then there are the moments that punch you in the gut. ¡Gaytino! 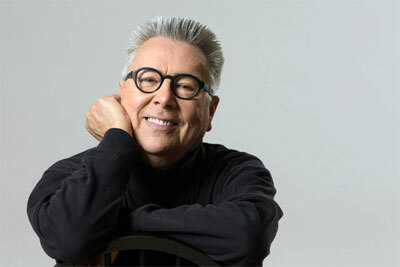 Made in America, $15- $25, 8:00 p.m., Fri., July 28, Guadalupe Cultural Arts Center, 1301 Guadalupe Street, (210) 271-3151, guadalupeculturalarts.org.